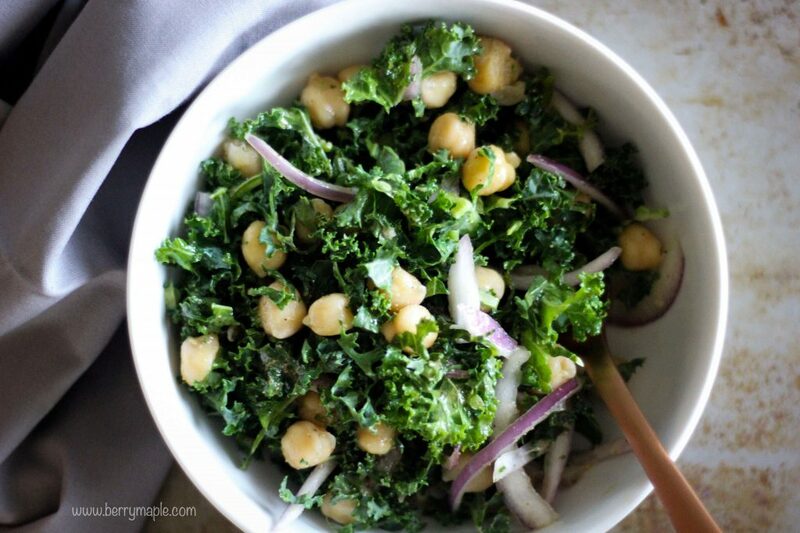 This kale chickpea salad goes very well with miso dressing and as a side to any chicken or beef dish. I used canned chickpeas in this recipe, but sure you can cook your own, it will taste even better! I also felt a bit lazy to make my own dressing today, so i used Miso dressing that was simply bought in Costco. Nothing fancy and very easy. Love salads as much as I do? Also try this queso fresco fresh salad for your next meal prep!